As a hunter you are going to need many tools at your disposable. Of course, it goes without saying that you are going to need a rifle or bow and the proper camouflage. However, most hunters overlook the importance of the rangefinder. 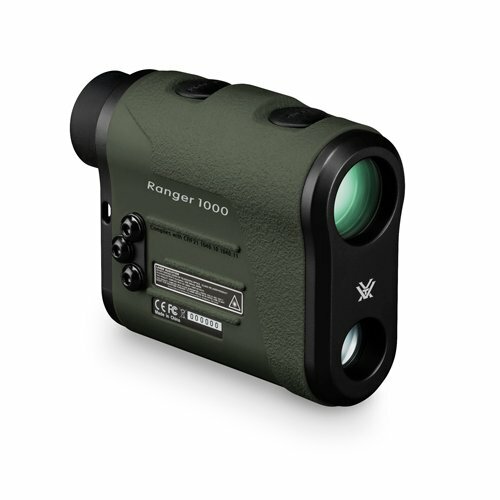 A rangefinder is a unique device that can be used to analyze the distance of your target. The range is extremely important because it can play a major role in your shot. Bullets tend to drop as they travel certain distances and this could be the difference between a kill shot and a graze. A rangefinder will let you know the exact distance of your target so you can adjust your scope and trajectory accordingly. So, how does one go about finding the right rangefinder to suit their needs? Whether you are shopping for the best archery rangefinder or you are looking for the best rangefinder for rifle shooting, you have to consider the range of the device. After all, this is the whole reason that you are buying the product. Rifle rangefinders will need to be able to calculate greater distances and these models usually use a laser to calculate these greater distances. However, a bow hunter will not need as much range as a rifle shooter because arrows can’t travel as far as a bullet. If you hunt with both weapons, you will probably want to go ahead and purchase a rangefinder that is capable of reading longer distances so that you can utilize the device for both weapons. You will no doubt notice right away that there are a number of brands available when it comes to rangefinders. However, what you need to know is that some manufacturers have access to certain technologies that are exclusive to them. This type of technology can make a major difference in how the device operates and the experience that you take away from using the device. Some of the brands with the best technology are Nikon, Leupold, and Bushnell. Of course, this doesn’t mean that there aren’t other brands that don’t offer features and technology that can’t compete. When you are seeking the best rangefinder for hunting, you always have to consider the design. You will find that there are a number of designs available and it really comes down to the type of hunting that you are doing. For instance, the best rangefinder for bow hunting will usually come in a vertical design, making the device lightweight and overall easier to use. The rifle rangefinder will best be purchased in the horizontal design because it provides more stability. When you are hunting long-range magnification is without a doubt one of the most important considerations that you have to make. Magnification will be the key element that will help you spot your target. A long-range hunter will want to invest in a rangefinder that offers at least a 7x or 8x magnification. You also need to keep in mind that the higher you go in magnification, the lower the stability will be. 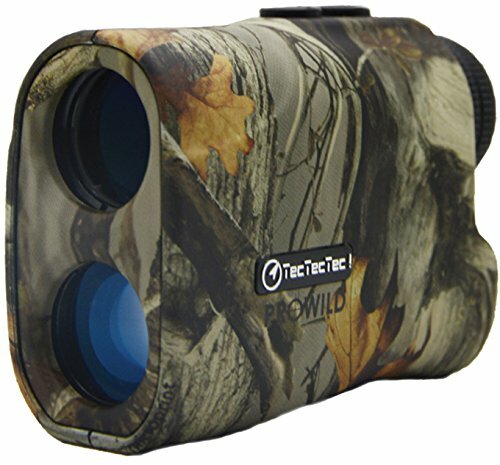 When it comes to long-range hunting, it is hard to beat the TecTecTec ProWild Hunting Rangefinder. This rangefinder not only includes all the essential features that a long-range hunter needs, but it includes additional features that will make your journey overall more successful. 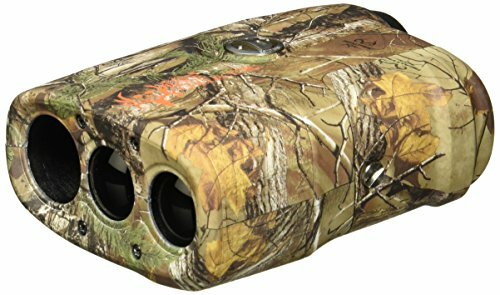 This powerful laser rangefinder is capable of measuring up to 540 yards with a continuous scan mode. 540 yards provides more than enough coverage so that you can stay hidden without spooking your prey. And, this is just the start of what this amazing product has to offer. What’s the point of investing in rangefinder if it is going to provide accurate readings? There is no point, and that is something you won’t have to worry about when you invest in this rangefinder. The TecTecTec ProWild Hunting Rangefinder comes equipped with technology that allows it to measure targets with a +/-1 yard of accuracy. This will be plenty enough accuracy to ensure that you get the kill shot every time. When you are out in the woods trekking through the brush, water, and other debris the last thing you want is to haul around another heavy device. And, this is not to mention how uncomfortable it would be to use. This is exactly why the manufacturers of this rangefinder designed it in the manner they did. The body of the rangefinder measures 104 x 72 x 41 millimeters and only weighs in at 185 grams. This offers lightweight, portability, and ease of use. Hunting can be rough, as you never know what you are going to encounter or come across. This is why the TecTecTec ProWild Hunting Rangefinder was designed with a durable body. The body is not only durable, but it is actually water and dust resistant. As you can see, the TecTecTec ProWild Hunting Rangefinder comes equipped with technology and features that make the product stand out amongst the competition. This affordable little rangefinder is a true joy to use and will make you an overall more accurate and productive hunter. 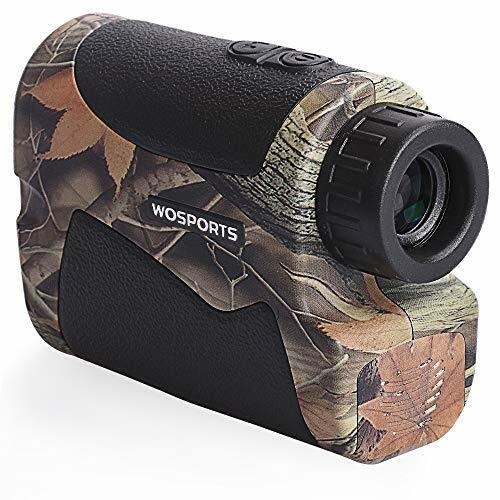 It does not matter if you are a long-range hunter, a golfer, a bow hunter, or a precision shooter, you cannot do without the Wosports Hunting Rangefinder. This handy little device possesses the power to accurately measure targets up to 650 yards. And, it even comes equipped with a neat little feature that will let you lock on at 150 yards. The device also comes available in two inconspicuous color schemes. You can either invest in the camouflage version or the black version. Either one will provide the concealment that you need to make sure you always stay hidden. Golf Slope Mode: accurately ranges from 5 to 650 yards and 150 yards to a flag lock. if you used on M2 Mode, Flag pole locking up to 200 yards. When you invest in the Wosports Hunting Rangefinder the device also comes along with a one-year warranty. This is pretty impressive considering that there are some rangefinder manufactures out that don’t offer any type of guarantee or warranty at all. What’s even more impressive is that Wosports offers lifetime customer support. They have a highly trained team of individuals standing by at all times ready to assist you in the event that you experience any problems. You can also reach out to the support staff in the event that you have any inquiries whatsoever. One unique technology that this rangefinder offers in the scan mode. This neat little mode will allow you to activate continuous measuring and the data will appear on the LCD screen while you move the device across the field. This can come in handy when you are scanning for targets. Instead of having to find a target and then take the measurement, you can get the measurement right away when you locate the right. The step basically cuts out the middleman and holding down the power/start button will allow you access to this mode. 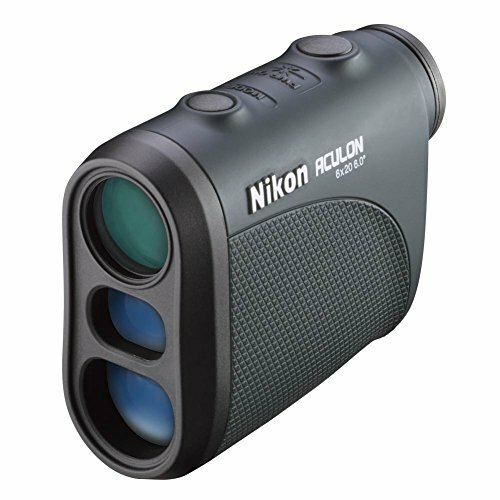 The Wosports Hunting Rangefinder offers a 6x magnification. This might not be as much magnification as some hunters are seeking, but 6x provides a lot more stability than higher magnifications. With a 6x magnification, you really shouldn’t have a problem sighting and spotting your target. The only bad thing that can be said about the Wosports Hunting Rangefinder is that it only offers a 6x magnification and rain or fog might throw off the measurements. Other than this, the Wosports Hunting Rangefinder is an excellent little tool. Vortex is without a doubt a name that many avid hunters are used to seeing. This company is known for designing and manufacturing a wide range of hunting scopes. Throughout the years in the industry, the Vortex name has become synonymous with quality and durability. All of this will be pretty evident when you look at everything the Ranger 1000 has to offer. First, off the Ranger 1000 is not only extremely easy to use, but it measures up to an impressive 1,000 yards. This is almost double the distance of the two models mentioned above. When you are hunting you won’t always have a straight clean shot on your target. There are going to be times when you find yourself shooting uphill or downhill, which is usually referred to as angle shooting. Well, just like distance angles can play a role in how your bullet travels. This is why the Vortex Company equipped the Ranger 1000 with what is known as primary horizontal component distance. This technology will allow the device to automatically calculate and display the angle-compensated distance reading. Carrying around a rangefinder in your pocket poses quite a few problems. First, there is a change that the device could always fall out if you find yourself on the run. Second, it beats the device up when you are traveling uphill and downhill or through heavily wooded areas. This is why the Ranger 1000 offers another option. Located on the side of the body, you will find a neat little adjustable utility clip. With this clip, you can connect the device on your belt or on a pocket of your jeans. This gives you quick and easy access to the device while ensuring that you don’t lose it. The Ranger 1000 also comes along with a lanyard in the event that you want to wear it around your neck. If you want quality and dependability along with accuracy, you simply cannot overlook the Ranger 1000. Nikon is another name that avid hunters are probably used to seeing when they are shopping for scopes or other hunting supplies. They are an equally impressive company that has created a lot of great products over the years. They new Al11 Rangefinder will be good evidence of that. The device is sleek, elegant, and easy to use. In fact, with one push of a single button, you can get the quick measurements that you need. With this kind of speed, you can rest assured that you will have the time to nail your target every time. When you are hunting, you probably want to take as little with you as possible. You are already carrying your rifle, ammo, and other necessary equipment. Anything more and you are only going to slow yourself down. This is something that the Nikon Company understands fully and that is why they designed their device in the manner they did. The Al11 is the smallest and most compact rangefinder that you will find available on the market. The device only measures in at 3.6 inches x 2.9 inches x 1.5 inches. And, it weighs in at a lightweight 4.4 ounces. This gives you the ability to take the device just about anywhere with ease. It is true that the Nikon Al11 is a small device, but that doesn’t mean it doesn’t pack a powerful punch. In fact, this rangefinder is capable of reading up to 550 yards. This will be enough distance for any long-range hunter, bow hunter or golfer. It can even measure right up to six yards from in the event that you have a close target. And, it should be noted that the device is completely accurate even at 550 yards out. If you are looking for a rangefinder that is lightweight, compact, accurate, and durable, you simply cannot overlook the Nikon Al11 by any means. Shopping for a rangefinder in today’s competitive and oversaturated market can be quite the task. There are no doubt tons of features and manufacturers that you have to carefully sift through. However, if you are looking you a rangefinder that has all the essentials plus more, look no further than the Bushnell 202208 Bone Collector Rangefinder. The Bone Collector comes equipped with an LCD display that is not only beautiful, but it is even easier to read, but this is just the start of what this rangefinder has to offer. If you want accuracy, you simply will not find many more rangefinders that are capable of providing the accuracy that the Bone Collector can. This bad boy is +/-1 yards accurate on every measurement that it provides. The rangefinder is also capable of reading target up to 600 yards out and targets that are 10 yards in front of you. There is nothing worse than a slow rangefinder or one that is complicated to operate. Fortunately, the Bushnell 202208 Bone Collector Rangefinder is neither of those things. Not only is the device comfortable and ergonomic, but also it is an overall pleasure to use. What’s even more impressive is that the device is lightning fast. With the one-button operation, you can have readings in just a matter of seconds. This ensures you that you get the accurate readings that you need within the right amount of time so you can set your scope and go for the kill shot. You can see from the Bone Collector why Bushnell has become one of the most well-recognized companies in the hunting industry. Their scopes and rangefinders include all the necessary features plus more.